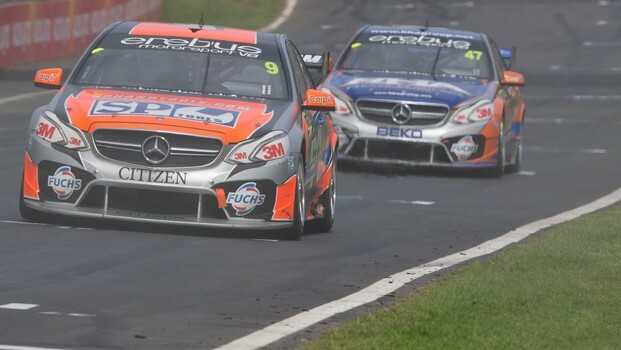 Erebus Motorsport V8 CEO Ryan Maddison is hopingthe team’s Mercedes-Benz E63 AMGs will find two to four tenths of a second ontrack in Perth this weekend, following upgrades to the cars. Ahead of the Chill Perth 360, Maddison hasspoken of the team’s “evolution” and goals for the Car of the Future vehicles. “Achievements for Perth – we hope to find tracktime,” Maddison said. “Other teams have gone forward with their packages, butwith our track time we’re hoping to find two to four tenths. It would be aboveexpectation for me if it was any more than that. This talk is on the back of Erebus Motorsport’strip to Germany to map out thedevelopment plan for the Mercedes-Benz E63 AMG V8 Supercars. Erebus MotorsportV8 has now implemented the second phase, which included an upgrade to theengine. The two throttle butterfly and drive by wire have now been updated toan eight throttle butterfly inlet manifold with a cable, which has seen a vastimprovement in the drivability and power delivery of the vehicle. “The nature of the beast (is) the program isalways evolving – in our case, it’s evolving extremely rapidly,” Maddison said. “The changes we’ll now see going into Perth, Iguess, are an evolution of that – a byproduct of the fact we went toGermany did a complete review. “I refer to it as a complete package and breakthat down into two areas: engine and chassis. 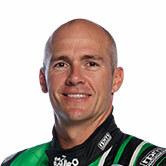 “We know there are issues here domestically tolook after, as far as the chassis goes. But we don’t know how far we can pushthat until the other side of the package – the engine – is wherewe’d like to be. Last week the team ran a rookie test day forMaro Engel, which also meant Lee Holdsworth was able to drive 10 laps in theMercedes. Holdsworth said they would have to wait forPerth to judge whether the upgrades will make a huge difference, but used theword "promising". Given the test was at Morgan Park in Queensland – as regular test trackQueensland Raceway was unavailable – the team was not able to comparedata, but both drivers reported a big improvement in the car. “We’re confident we have made headway,”Holdsworth said. “It probably couldn’t have come at a better timeto be honest… With these upgrades it’s much smoother now and the power deliveryis excellent. The step up should be good and hopefully we’ll see a massiveimprovement in lap times. The Chill Perth 360 this weekend is WesternAustralia’s chance to see the Car of the Future V8 Supercars – includingthe Mercedes-Benz E63 AMGs, which haven’t run at Barbagallo Raceway before. Tickets through Ticketek and race details here.